I believe in the zone of privacy. Most times I don't get to like my neighbours knowing my secret apps or even messages because I value privacy on that aspect, and that is the more reason privacy inter-relate with security. Security is one of the actions that keeps you safe from lack of privacy, thereby keeping your secrets safe. Android users are familiar with the screen lock or security code lock action on their device, but I don't encourage any use those actions to avoid security lost or forgotten screen lock action. Today's stroll, I would be breifing you on the top 5 Fingerprint lock apps for Android smartphones. Of course you should know that your fingerprint never changes and this action also avoid security lost. I would simply say, this is a very nice fingerprint app with a very nice customizable interface that works as a screen lock. It's a very nice app that gives full security to your android smartphone. 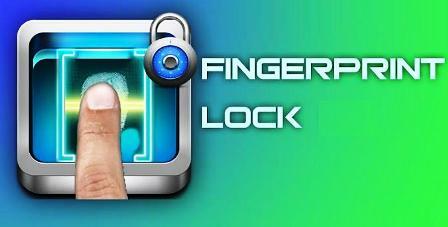 Fingerprint Lock HD is another awesome fingerprint lack app with exact and attractive HD display. Unlike the fingerprint lock free, it also serves as a screen lock interface. Wow! As for me, I would rate this app to be rated as one of the best android app. It's really awesome with a very effective virtual biometrics (Fingerprint scanning) that helps in locking and unlocking of your android device. Just as the name sounds, It has an high scanning capacity, with quality light beam that scanner that brightens in three cycles. This app is also a recommended fingerprint lock app for your android device because it's security is to the fullest. This is a very stylish and unique fingerprint app with better features. Unlike every other fingerprint lock app, it's security is on screen lock interface. With the metal fingerprint security lock, you should get your fingerprint captured just by placing your thumb and wait while the app scan and matched for security lock and unlock. Hope with this, you would gain your privacy and security setup to the fullest. @codedtinz pls help me i cant be able to see notifications and messages in my fbook acount..when ever i logged in my account the only thing i can see is homepage i neither like nor comment an i heve been experiencing this for about two weeks ago. Nothin will open again after the homepage.pls Did i felt a victim of hackers? Thanks codedtinz i know you can hlp me out. i tried it but same thing happened. I told you earlier that after homepage nothing is gng to work agaain. if i clicked on somethin i will just show loading but no result, and what pain me most is that i can see th number of notification list and the number of massages that i received but i cnt open them read because loading will not end even if i leave it for a week.